The product is designed as a set of four-wheel-driven mechanical massage hands that are capable of moving up and down in a noise-free manner. 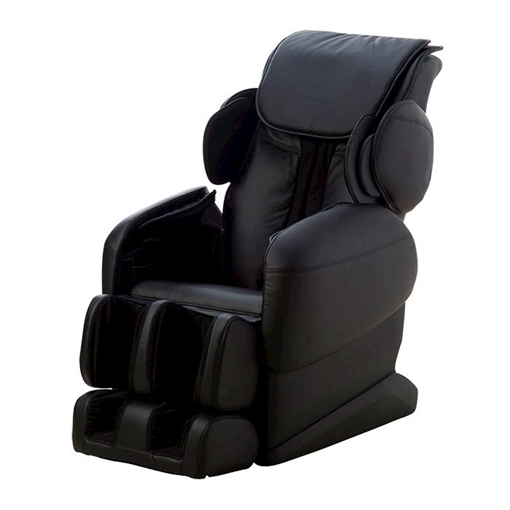 Five simulative massage modes are available including finger-pressing, kneading, patting, knocking, and synchronously kneading-patting modes. Air pressure massage function: With 37 air bags inside. For the massage of legs and soles, two pairs of papillae are equipped for performing intensified massage on sural muscles and the reflecting regions. The backrest, calf and the mechanical hand can reset automatically. When turning on the machine, the backrest and calf will automatically be adjusted to an appropriate angle (in resetting status). The footrest can overturn if you push it. Warranty: (1) full year-see sale representative for details.